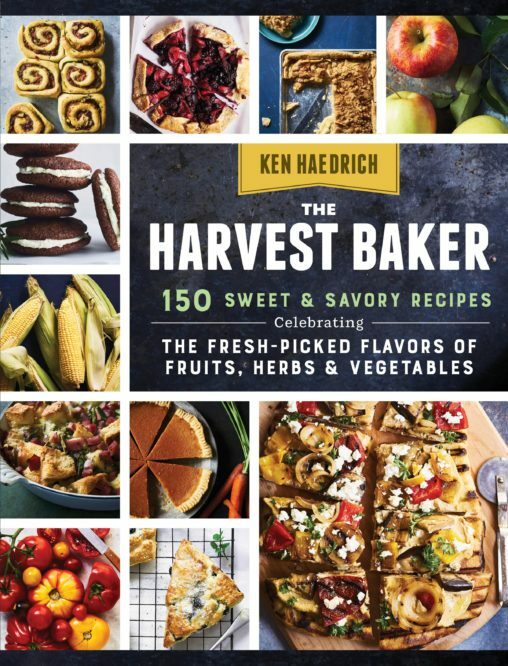 Without question, the thing I’m asked most frequently – by the media, at cooking demonstrations, and from people I meet in passing – is where do you get all your recipe ideas? This is a perfectly logical question to ask someone who has written 13 cookbooks and hundreds of magazine articles. And yet, whenever I hear it, I’m always a little surprised because the answer seems obvious: I get them from everywhere. I get them from magazines, books, restaurant menus, even television and movies. I get them from conversations: with my wife, other cooks, my brothers and sisters, editors, and my kids. From photographs, travel shows, and – of course – the internet. But back to this tomato pie, the recipe in question. This is January and I don’t have to tell you that neither I, nor anybody else in this country, has any business baking a tomato pie right now. Ladies, you can find your own analogy but, from a guy’s perspective, eating winter tomatoes is every bit as satisfying as watching football in July. About a month ago, however, I bought a copy of Bless Your Heart: Saving the World One Covered Dish at a Time by Patsy Caldwell and Amy Lyles Wilson (Thomas Nelson, 2010) at Cracker Barrel and quickly spied a recipe for Fresh from the Garden Tomato Pie. (Great book; you should get a copy.) Inspired by their recipe, I made a mental note to go all in for tomato pie this summer. Then New Year’s Eve rolls around. My wife and I are visiting with family in Wilmington, NC, out for dinner at a very nice restaurant. The featured appetizer? 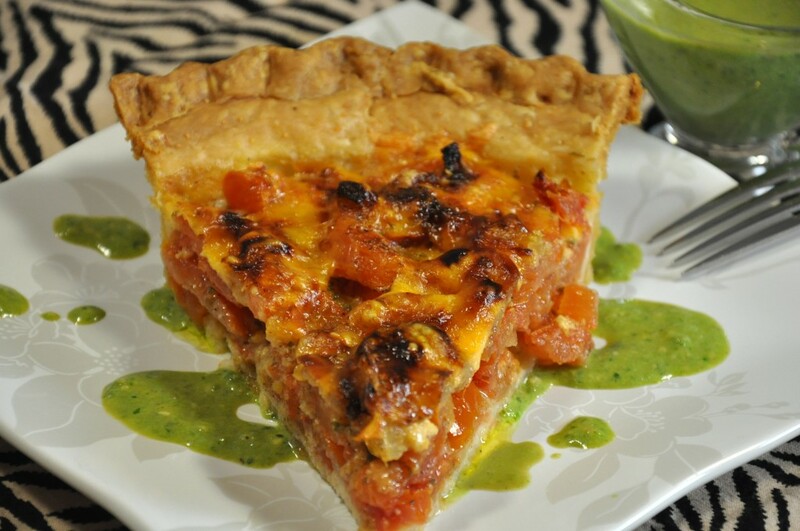 Tomato pie with pesto cream sauce. I order, and like what I taste. A lot. 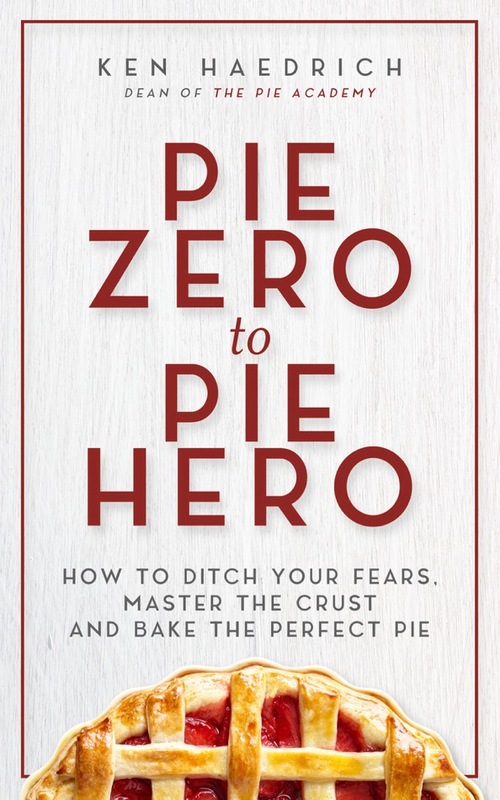 That – followed by a chance conversation with a chef in Georgia last week about, what else?, tomato pie – was all it took to move tomato pie to the top of my mind and editorial calendar. 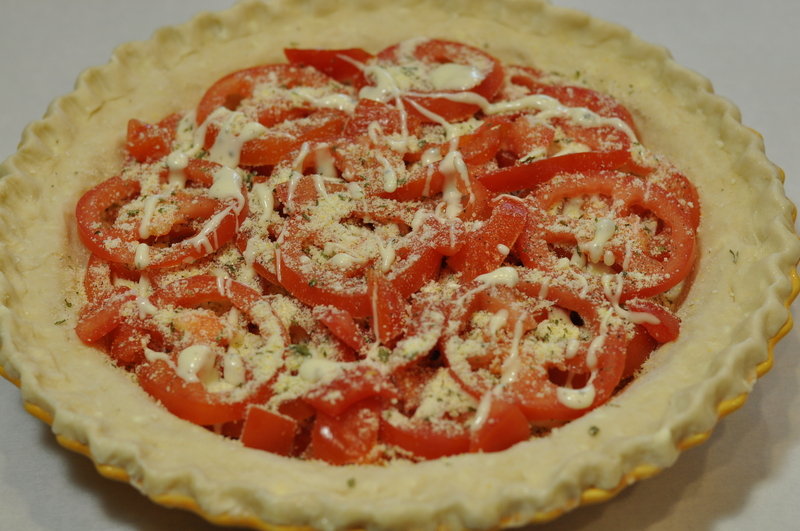 Be advised that should you choose to make this tomato pie now, it will not be the same tomato pie you make this summer with just-picked, vine ripe tomatoes. This one is good, that one will be better. But don’t let that stop you if you find the distant memory of warm weather, long lazy days, and roadside stands piled high with colorful abundance tugging at your sun-starved cook’s soul. 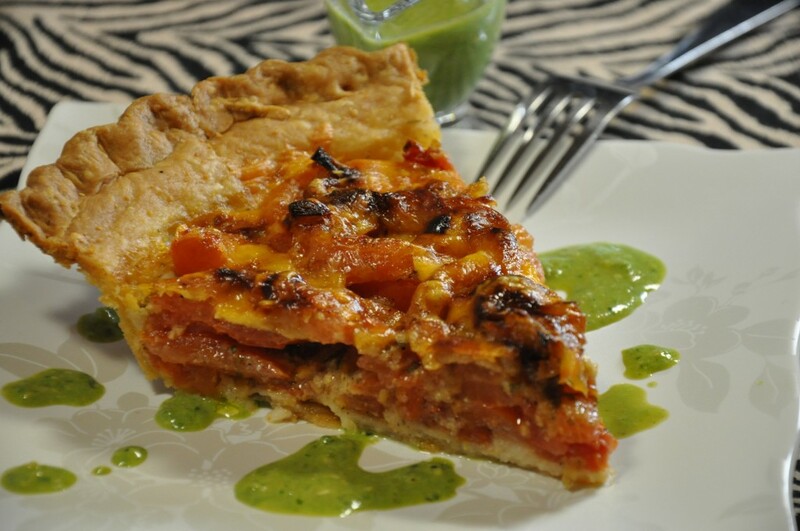 Spend a little extra to get some half-decent tomatoes, then enjoy this dinner pie – as we have for the last couple of days – accompanied by a big green salad and a glass of wine. 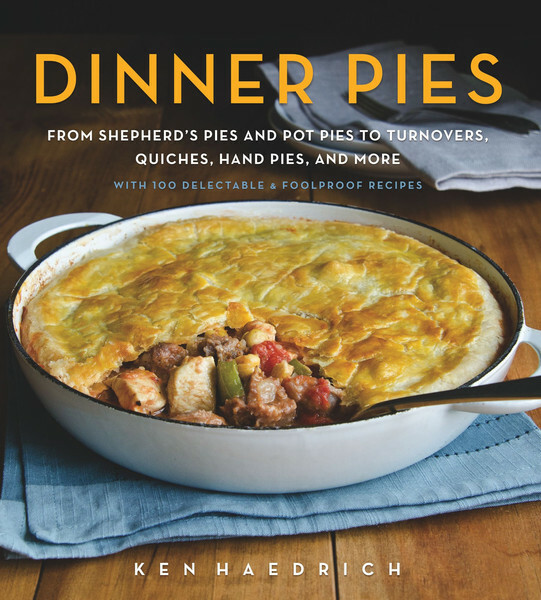 PASTRY NOTE: My preference here is for the GOOD BASIC PIE DOUGH but any favorite pie pastry will do. PESTO CREAM SAUCE NOTE: This is not the very best or most sophisticated pesto cream sauce I’ve ever eaten. But it is still very good and what it lacks in sophistication it more than makes up for in being very easy to prepare. Meanwhile, rinse and core your tomatoes. Halve them, widthwise, and use your finger to push out the seeds and juice of about two-thirds of your tomatoes. Don't seed the rest of them: a little juice will give the tomatoes something to stew in. Cut the tomatoes into slices no more than 1/4" thick and set them aside. Melt the butter in a medium size skillet. Add the onion and saute over moderate heat for 8 to 9 minutes, until the onion is soft. Stir in the garlic and saute another minute or so. Remove from the heat. Mix the Parmesan cheese, cornmeal, and basil in a cereal bowl. Set aside. When you're ready to assemble and bake the pie, preheat the oven to 350°. Sprinkle about 1/4 of the Parmesan mixture over the bottom of the pie shell. Add a layer of tomatoes. 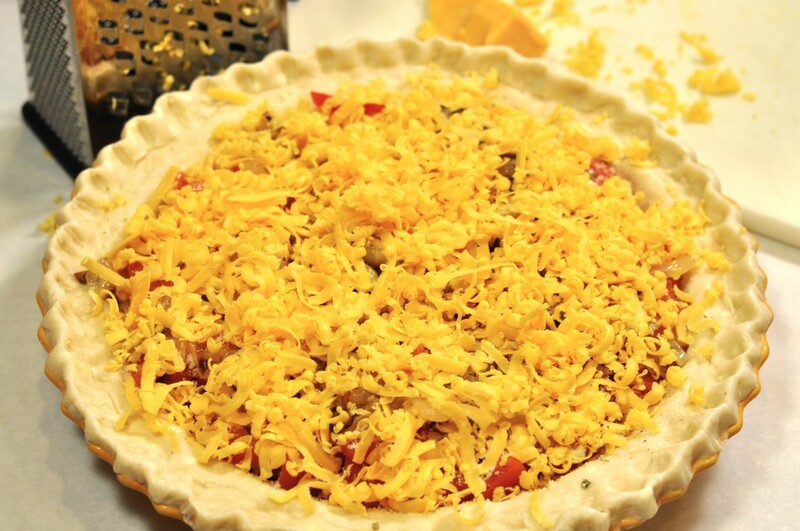 Sprinkle with salt and pepper - don't be too stingy with the salt; the tomatoes need help - then sprinkle evenly with a generous tablespoon of the Parmesan mixture. Drizzle on a tablespoon or so of the dressing. 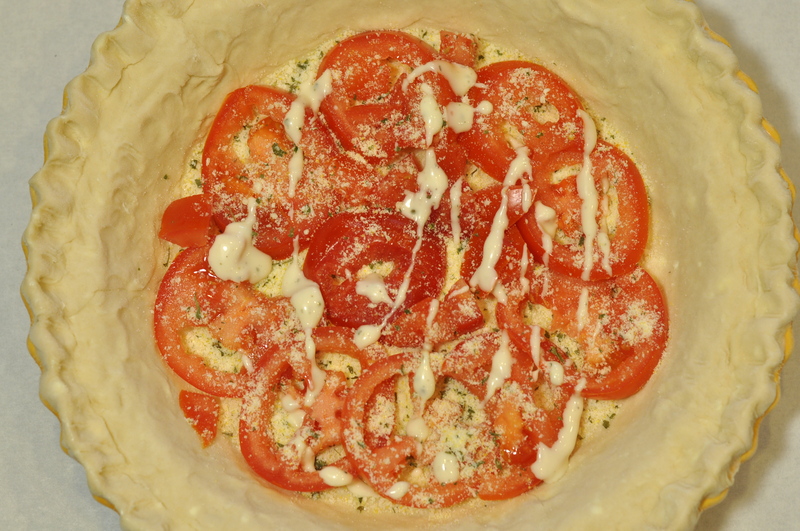 Continue layering in this fashion - tomatoes, salt and pepper, Parmesan mixture, and dressing - making 3 or 4 layer in all. Spoon the sauteed onions over the top tomato layer, then top with the Cheddar or Fontina cheese. 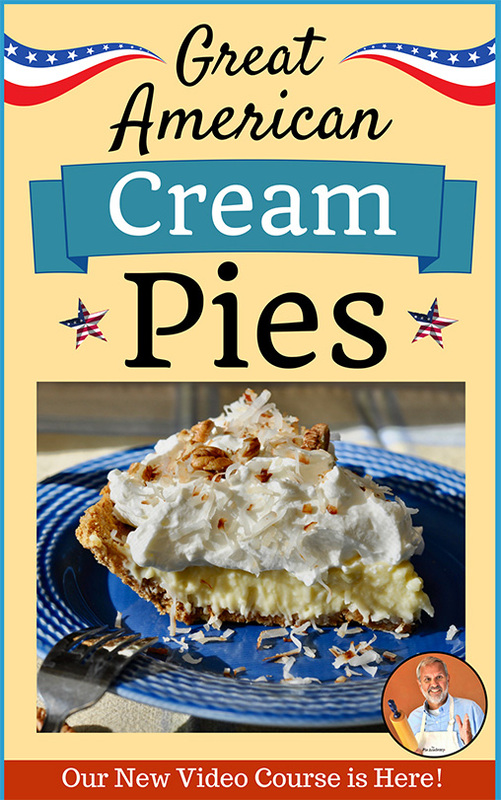 Bake the pie on the center rack for 45 to 55 minutes. When the pie is done it will be nice and golden on top, and - most likely - somewhat bubbly if there was enough juice in the tomatoes. Transfer to a rack and cool for about 10 to 15 minutes. While the pie cools, make the pesto cream sauce. Simply combine the pesto and cream and heat gently in a small saucepan without boiling. Or heat them in the microwave, in a microwave bowl, just until hot. Pass at the table and let everyone drizzle a little bit on or around their slice. Makes 8 to 10 servings. Note: If you feel as if you can do it with a disciplined and judicious hand, it wouldn't hurt to also sprinkle each layer of the tomatoes very sparingly with sugar. It will help the flavor just a tad.